This, my friends, is amazing. I got this recipe from a long time friend Tammy M. about a year ago. She is always making it and posting pictures on her Facebook page that make me drool on myself and want to eat it. However, for some reason, I have just never actually made it. Until now. OhMyGoodyGoodness! I am so glad I did! I changed the recipe just a tiny bit from what she had, just to suit my tastes a little better. We have a tradition around here for the holidays when it comes to food. On Christmas Eve our close friends, who have become our family over the years, always come to our house for an evening of appetizers and usually some games, or this year it was a bonfire. Then, on Christmas Day they come back over in the afternoon and we just lay around and drink spiked eggnog or mimosas and then have a dinner of my specialty steaks and fried shrimp. Sometimes we throw in some fondue as well. The one thing that we have to have on Christmas Eve is Scotch Eggs. It’s a must. This year I did several other appetizers that we love, but I wanted to try something new to add to the menu. 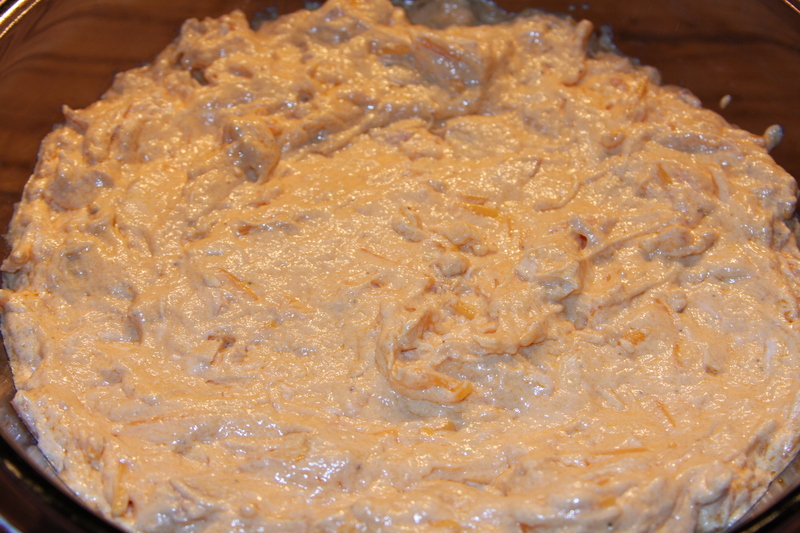 This buffalo chicken dip was what I picked. I figured that after a year of drooling over the recipe, it was time to make it. I have to say, it is one of the best appetizers I have ever had and I will definitely be making it on a regular basis. My husband couldn’t stop talking about it. “OMG! This is amazing!” “Babe, why haven’t you ever made this before?” “WOW!” “I just can’t get enough of this stuff!” Those were just a few of the phrases he kept repeating over and over while guarding the bowl with his life. It is very easy to make and you can easily make it up ahead of time like I did, and keep it in the fridge until your ready to bake it. If you need a great appetizer to take to a party or to have while hosting a party of your own, this is the one for you!! ** This recipe is gluten free if you use the products I have listed below. I have done the research on these products and my gluten free friend, Jenny S., has given it the taste test approval! ** If you wanted to make this vegetarian, you could just make the recipe without using the chicken. I am sure the flavor combinations would be just as great without the meat!! Thanks again, Tammy, for sharing the recipe with me! Season your chicken breasts with salt and pepper. 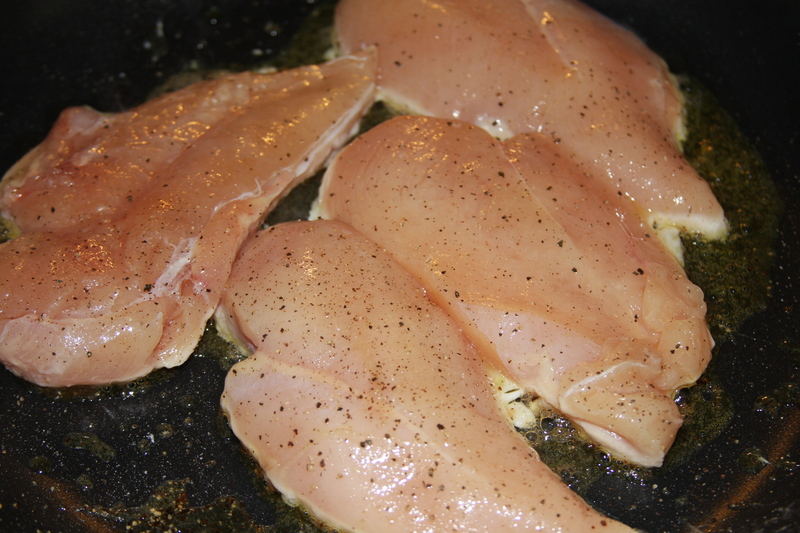 Add two tablespoons of your favorite oil to a skillet and cook over medium heat until chicken is cooked through. 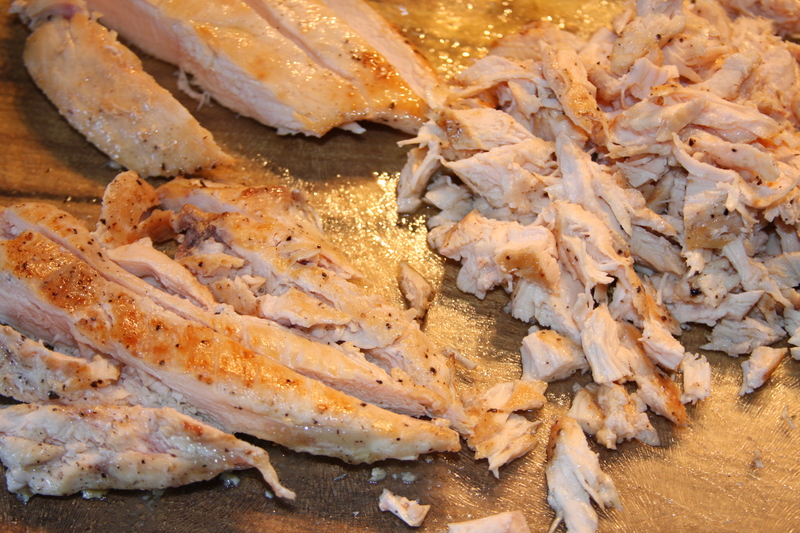 Once chicken is done, I sliced each breast into 3-4 strips and then shredded each strip with two forks. I personally thought it would be better without huge chunks in it since the dip was so creamy. You can cut up the chicken however you prefer. For this next step, if you don’t like blue cheese or you don’t like ranch, you can just use a full cup of the one you like the best instead of splitting it up and using both. While your chicken is cooking, in a large bowl combine softened cream cheese, ranch dressing, blue cheese dressing, and buffalo wing sauce. You can either use a hand mixer to mix until smooth and creamy, or just use a large spoon. Mix in your shredded chicken and 1 cup of shredded cheese. Pour into a baking dish. Bake at 375 degrees for about 20 minutes, or until dip is warmed through and bubbly. I think our favorite way to eat it was with the celery and the Triscuits. I hope you will enjoy this as much as we did! These were the products I used that are gluten free. 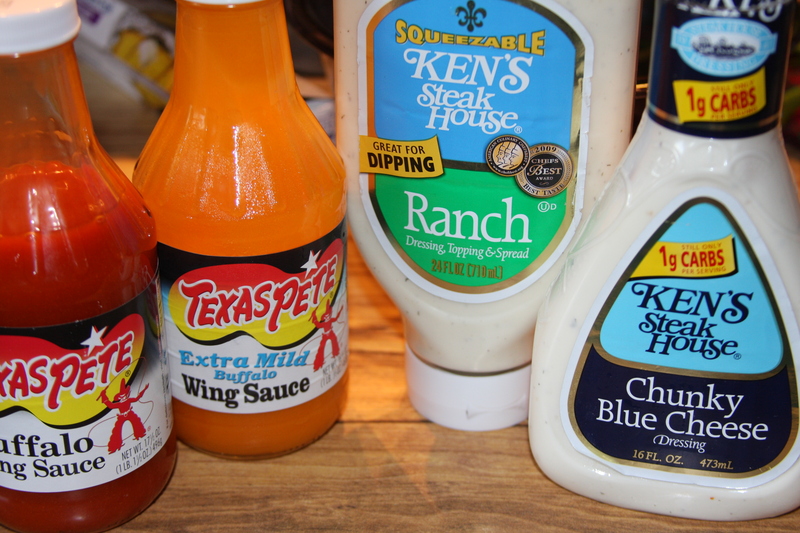 These are my two favorite brands when it comes to salad dressing and buffalo wing sauce. This entry was posted in Appetizers, Cheese, Chicken Dishes, Dips and Spreads, Gluten-Free, Products, Recipes, Sides, Snacks. Bookmark the permalink. I have to say that this really does sound good. I can’t wait to try it when we go to our next football game party. Your raves have convinced me that everyone should like it. 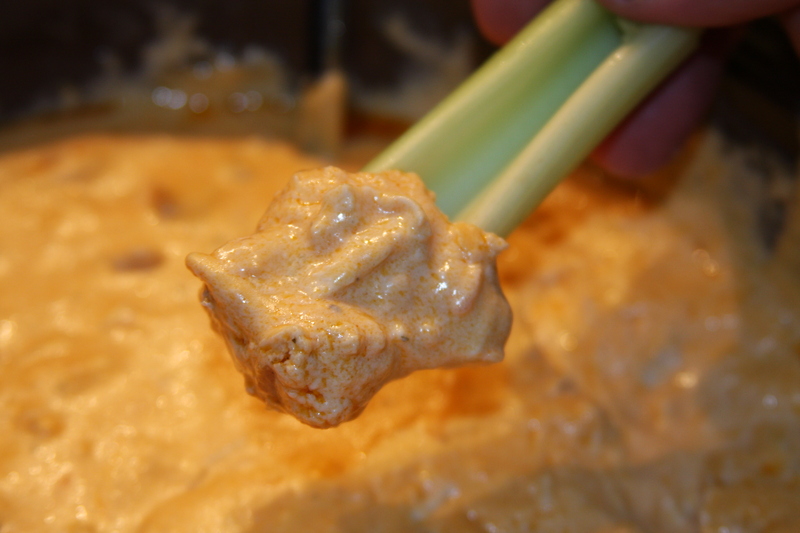 So I’ve been stalking your blog today and just had to add something with this recipe – it’s kind of a make or break for my crowd – we make it is in a baking dish and layer everything – first cream cheese, top with dressing(s), top with chicken, pour over the wing sauce (Franks is the fav! 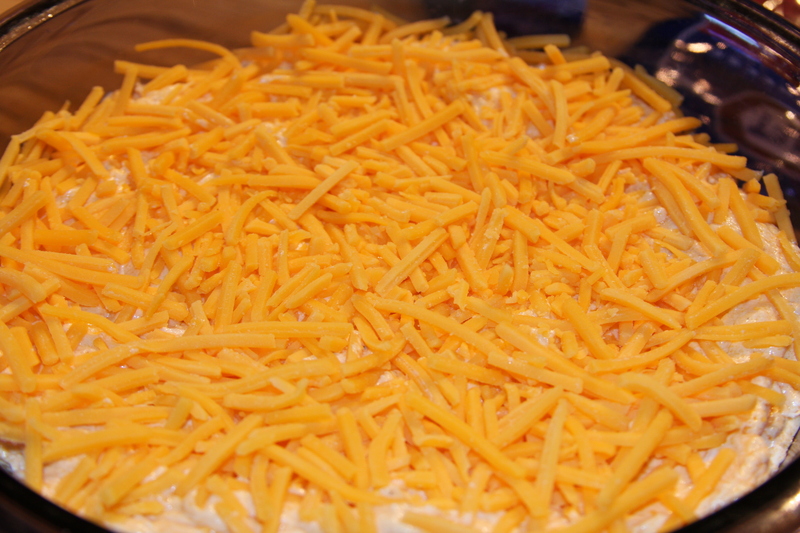 ), top with cheese(s), toss in oven until bubbly. The reason we do it this way? The color of the ingredients mixed together is so weird and unnatural looking many of us can’t bring ourselves to eat it… so we basically layer beause it is prettier. ha ha ha, No catfood…not ever! I am not sure how people eat that canned chicken, it’s gross! Thanks for the idea, I may try that the next time. It is a little weird to look at, but it’s so good I don’t think anyone pays that much attention. This is my husband and our best friends favorite dish. They are always asking me to make it. I love the idea of adding the blue cheese crumbles. I buy this one kind from Whole Foods that I just love. Thanks for stalking the blog! 🙂 I hope you enjoy it! STILL MY ALL TIME FAVORITE SIDE DISH/SNACK/APPETIZER!! I am going to have to try the bleu cheese though, I usually only do Ranch but I like bleu cheese too so I bet it’s great both ways! Unreal, can’t get enough of this. Outstanding!! When is the recipe for the 7 layer dip coming out, it is to die for.